Free Bonus for Wellness Revolution Summit Participants! Sign up now and receive a free 35 page Ebook from "Quantum-Touch: The Power to Heal"
Discover... how an ordinary skeptical guy , had a series of shocking experiences... and discovered energy healing. 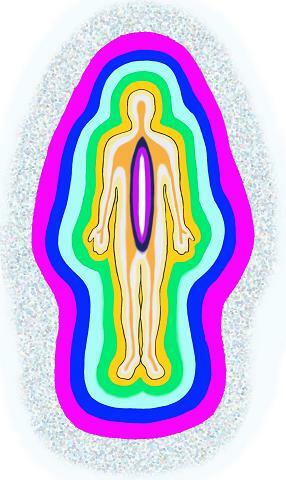 How a skeptic got into energy healing. What is Resonance and what does it have to do with healing? Why the ability to faciliate healing is a simple, natural skill. We fully respect your privacy. Your email address is never sold, shared or traded. We will unsubscribe you upon your request. Richard Gordon, Founder of Quantum-Touch will be speaking on Tuesday November 16 at 4:00 PM PST | 6:00 PM CST | 7:00 PM EST. Richard Gordon is the best-selling author of "Quantum-Touch: The Power to Heal", now and 17 languages, and "Your Healing Hands-The Polarity Experience", 10 languages. As founder of the Quantum-Touch organization, Richard has traveled internationally speaking at medical centers, conferences, and chiropractic colleges, was on faculty at Heartwood Institute and the Holistic Health Institute. Quantum-Touch currently has certified practitioners in over 50 countries and has over 500 certified instructors around the world.